Looking for a whiter smile but only have minutes to spare? 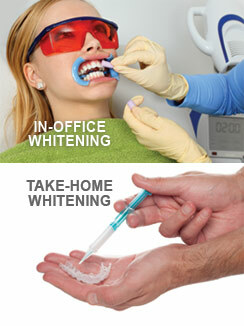 Dr. Stotts is offering the newest option for in office strength whitening. The procedure begins with using a color chart to determine the current shade of the teeth. Dr. Stotts will then conduct an exam to determine if whitening is the best option for you. Your teeth are then cleaned and polished to allow maximum contact with the whitening gel during the 30 minute whitening process. This cleaning and polishing during the treatment is necessary to achieve uniform whitening. 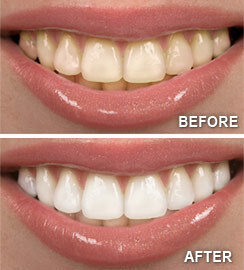 After the cleaning Dr. Stotts or our hygienist will apply an In-Office strength Sheer White 30 minute strip. It takes just 5 minutes to apply after your dental cleaning. That's it, quick and easy! You can then leave the office and remove the upper and lower whitening strip after 30 minutes. You will also receive the at home Sheer White kit to continue the whitening process at home or to use as touch ups. This easy whitening process will give you the instant gratification of a white smile. Your new bright smile can be maintained with regular cleanings to keep everyday stains from darking your teeth.